Heard of Four Cow Farm? I did, about a year ago or so if I remembered correctly. But first, there are so many organic baby care and skincare players - both international and locally handcrafted - in the market. I have always been wondering how do we as mothers make our choices regarding which brand or range to buy for our kids and family? Research: Yes, I do research. There are plenty of information (reviews etc) online for international brands. For locally handcrafted brands, I try to meet the founder(s) personally to understand why and how they start making their own range. Word of mouth: This can be a rather good indicator regarding how well received the brand is by consumers and vice versa. Read the list of ingredients: The moment I spot an ingredient on the ingredients list that I can't pronounce at one glance, sorry, I won't buy. Instinct / Gut feeling: As a mother, our maternal instinct is usually accurate, even if it's borderline paranoia. Lol. Hey, it's better to be safe than sorry, right? If I become doubtful just by reading the list of ingredients, I will put away that particular product, sometimes the entire range. Having said that, now let's see why Four Cow Farm is worth the try. In photo: My toddler likes Four Cow Farm's Baby Lotion. He says, "This makes my skin smooth." LOL. 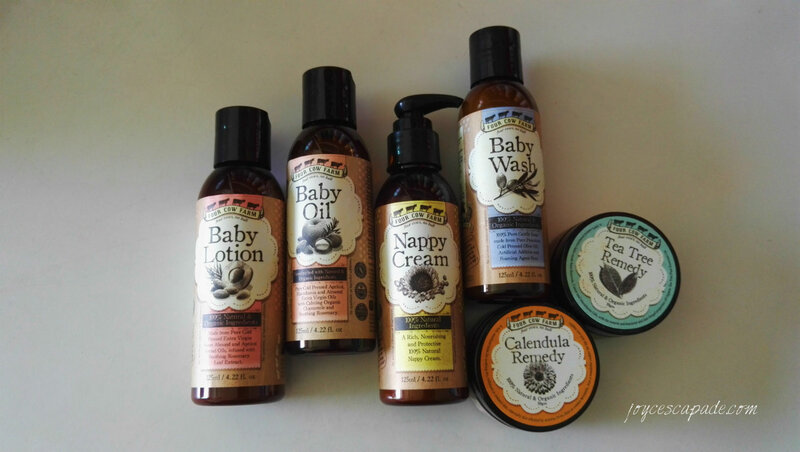 Let's take Four Cow Farm's Baby Care Range for example. The whole range is made from premium food-grade ingredients, preservatives and emulsifiers. They never contain any parabens, propylene glycol, sulphates (SLS/SLES/ALS), cocamidopropyl betaine, artificial fragrances/colors, synthetic detergents, petrochemicals, mineral oils, lanolin, chlorinated water, phthalates. Bold claim they have there, but if they dare to say so, I'm convinced to try. More information to digest on Four Cow Farm's Our Approach webpage. More info on Four Cow Farm's website. My verdict: It is almost impossible to find 100% Pure Castile Soap in Malaysia. Pure castile soap only contains olive oil and no other oils. 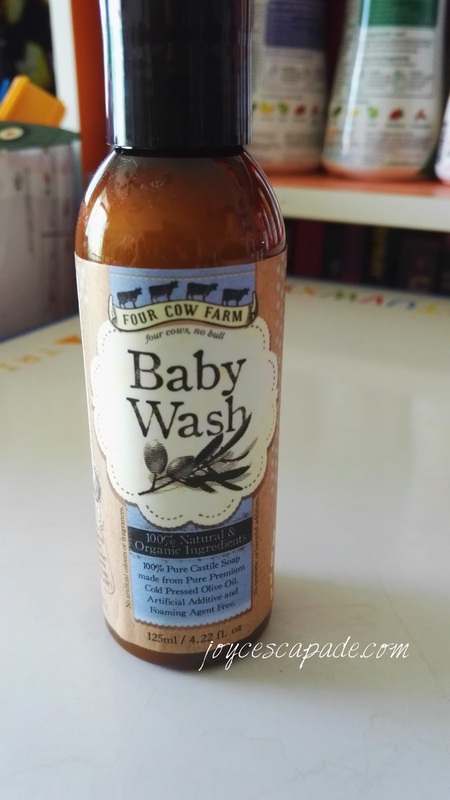 This makes castile soap the gentlest form of soap to be used safely on our skin, especially for babies. The no-foam feel takes some time to get used to it if you have been using foaming body wash for a long time and this is the first time you use castile soap. No worries, you will love it. I will definitely use this baby wash for my next baby. 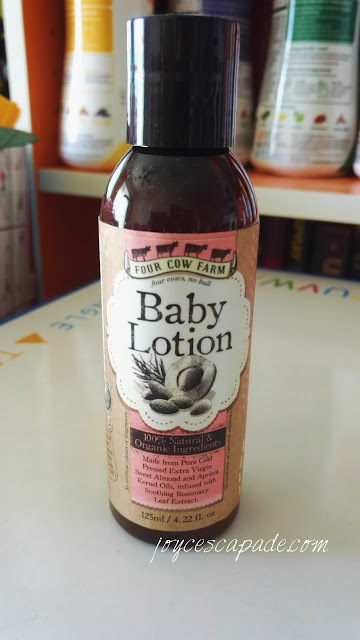 My verdict: I'm not a lotion person because I don't like the sticky feeling on my skin or my baby's skin after applying. But this lotion is different. The moment it's absorbed, you can't feel a thing except for a silky smooth feel. Even my toddler can tell me how smooth his skin feels. My verdict: This baby oil will be a life saver for my next baby if ever he/she has cradle cap. My toddler had it all over his head and eyebrows when he was a baby. We had to hunt everywhere to get something to soothe his skin because I didn't want to use commercialized baby oil that contains mineral oils. 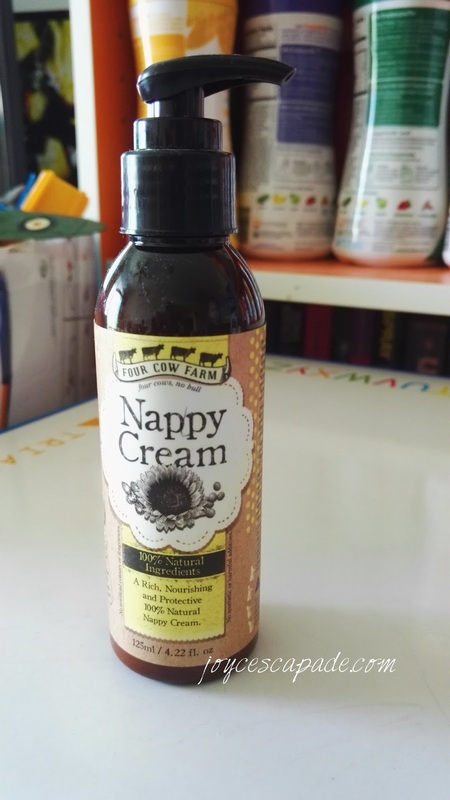 My verdict: Yay, no more chemical-laden tube-style nappy cream! I love this bottle because it comes with a pump! Last time those nappy cream in tubes were such a pain to use. It took a ton of patience and skill to maneuver the tube (unscrewing the cap and squeezing the right amount) and a wriggly baby. What a nightmare for first-time mom like me! My verdict: Every household needs at least one tub of this salve. Good for traveling too. 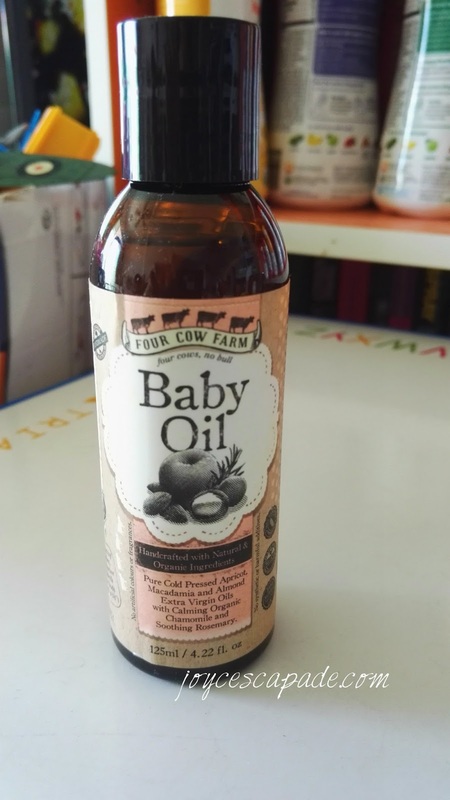 Thanks Four Cow Farm for formulating this excellent chemical-free emergency balm! My verdict: I have never tried calendula salve before. 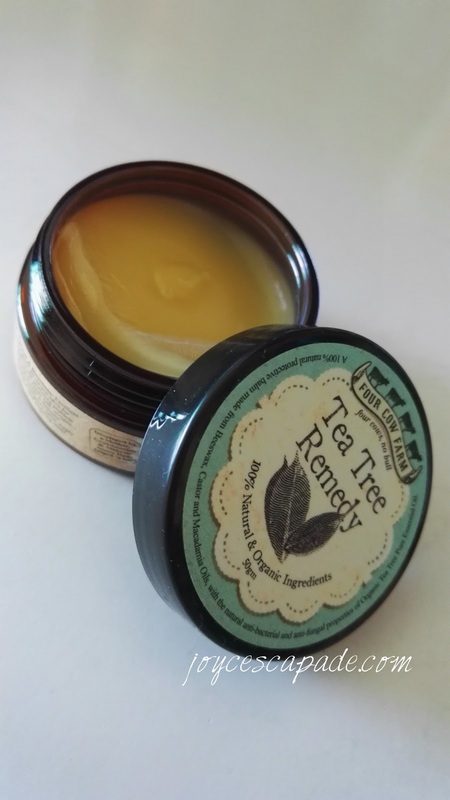 But I'm really happy to learn that this balm is good to be used on skin affected by eczema and contact dermatitis. I'm allergic to cat's hair and I'll get contact dermatitis when in contact with it (e.g. on sofa, carpet, etc). 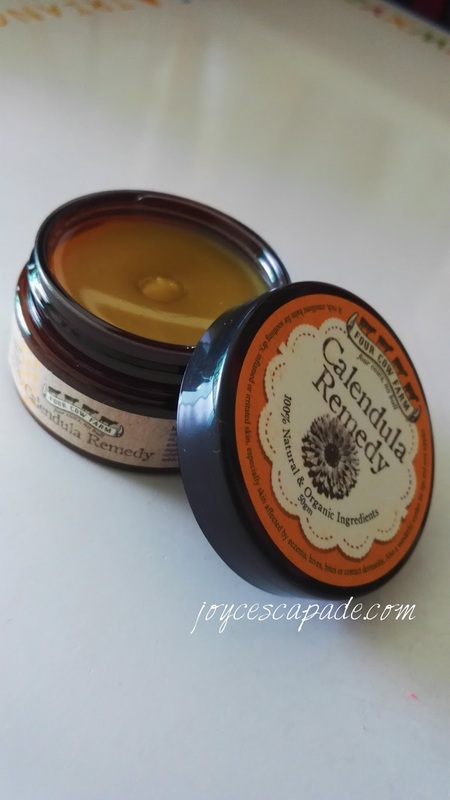 Thank you for Calendula Remedy! I will bring it along with me when I'm traveling. Note: Free delivery within Malaysia when you order more than RM120 off the Four Cow Farm Malaysia store! Disclaimer: Four Cow Farm Malaysia has kindly sponsored the Baby Care Range products, but opinions on this blog post are my own.